Gary Paul is a partner at Waters Kraus & Paul in the firm’s West Coast practice. Gary brings a distinguished legal portfolio to the firm, including more than four decades as a trial lawyer in complex civil matters such as consumer and medical product liability, medical and professional malpractice, commercial and insurance litigation, and employment and labor law. After earning a bachelor’s degree in engineering from Arizona State University and a master’s in engineering from UCLA, Gary worked as a space and missile engineer for a decade before deciding to pursue a career in law. 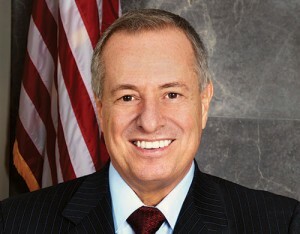 Gary earned his Juris Doctor degree from Loyola Law School in Los Angeles in 1974, and was admitted to practice by the State Bar of California the same year. A respected author, Gary has written numerous articles for legal journals. He is co-author of the California Tort Practice Guide, a five-volume law treatise published by Clark Boardman Callaghan. He is also a frequent speaker at legal symposia and continuing legal education seminars. 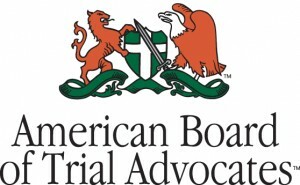 Gary has achieved the rank of Diplomate with the American Board of Trial Advocates, a position reached once an attorney has tried 100 jury trials. Gary was presented with the Leonard Ring Champion of Justice Award in July 2016 and the Harry M. Philo Award in 2014 by the American Association for Justice (AAJ), and he served as president of the AAJ from 2011 to 2012. He has also served as president of the Consumer Attorneys of California (CAOC) and Consumer Attorneys Association of Los Angeles (CAALA) and remains active on the Board of Governors of all three organizations. In 2006, he was president of the Pound Civil Justice Institute, a think tank of accomplished trial attorneys working to strengthen the practice of trial law through educational programs, publications and research grants. He has been recognized multiple times by the CAALA and CAOC for outstanding service to the legal profession and his community, including an election to the CAALA Hall of Fame and an unprecedented second award as CAALA’s Trial Lawyer of the Year in 2008. In 2012, Gary’s Law School presented him with The Loyola Law School Champion of Justice Award. Gary has been selected by his peers for inclusion in the 2019 Edition of The Best Lawyers In America© magazine for his work on behalf of plaintiffs in Personal Injury Litigation. This is his second year in a row to be selected. Gary has also appeared on the Thomson Reuters Southern California Super Lawyers® list for 15 consecutive years, from 2005 to 2019. Gary is a member of the State Bar of California, the International Academy of Trial Lawyers, the American Board of Trial Advocates, AAJ, CAALA and CAOC. He is a native of Springfield, Ohio.